Raised in Glasgow, Sally Magnusson is a Scottish writer and broadcaster. 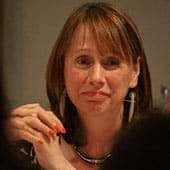 She began her career at The Scotsman before moving to the BBC, notably as a long-serving presenter of BBC Scotland’s Reporting Scotland news programme. She has worked on a range of programmes, including BBC Breakfast Time, BBC 2’s The Daily Politics, Panorama and Songs of Praise. She is the founder and chair of Playlist for Life, a charity that encourages access to personalised music on iPods for people with dementia. 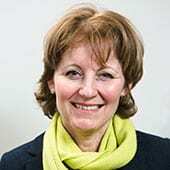 In 2009 Sally received an honorary Doctorate of Letters from Glasgow Caledonian University. Her memoir of her mother’s dementia, Where Memories Go, won her the Glenfiddich Spirit of Scotland Award for Writing in 2014 as well as being shortlisted for the Saltire Literary Book of the Year award. 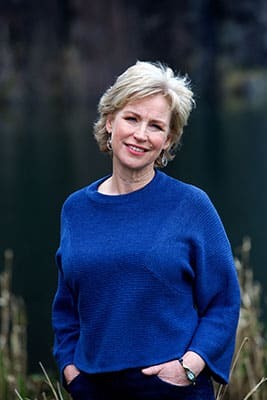 In her acclaimed debut novel Sally Magnusson imagines what history does not record: the experience of Asta, the pastor’s wife, as she faces her losses with the one thing left to her – the stories from home – and forges an ambiguous bond with the man who bought her. 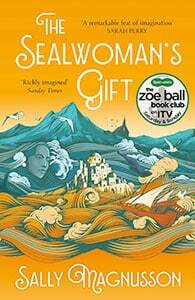 Uplifting, moving, and witty, The Sealwoman’s Gift speaks across centuries and oceans about loss, love, resilience and redemption.